A great addition to our range is an old classic which is still as popular today... woven ties! Available in 100% Micro Polyester or 100% Silk with edge to edge woven design in up to 7 colours. Standard size 145cm x 8cm – Other sizes POA Supplied with a standard fabric loop but you can have your own branded label if required at additional cost. High definition dye sublimation offers the ultimate in full colour logo reproduction. Using ultra smooth polyester, logos and images of photographic quality are faithfully reproduced. Jacquard Woven Patches are an ideal alternative to the classically embroidered patches. Our microfibre items are manufactured from soft anti-static microfibre that is beautifully printed all over using dye sublimation printing. A fun addition to our product range for 2019! Playing cards are one of those items that people will keep and enjoy. Our fabulous promo socks are made from cotton rich fabric and are bespoke woven to your specified design available in dress style as standard. Promotional Metal Items have been around for years and still endure as one of our most requested product ranges. Select from our wide range of bespoke keychains, badges. All with a unique style and finish. Soft PVC is versatile, tactile, flexible, colourful & best of all, a completely bespoke product designed & delivered to your door within 4 weeks. These great shopper bags are a fabulous addition to our bag range. Our fabric festival style wristbands are ideal for festivals & events and are fast becoming an ideal fashion/collector’s item! The tubular polyester lanyard is the most popular in our range and is now even better as our new material offers a flatter more consistent surface to enhance print quality. It is still a tube but has been woven tighter and pressed flat. New for 2019 our full colour Pouches are a wonderfully versatile product with a multitude of uses. Versatoob multi-functional headwear is colourful, eye-catching, practical & fashionable. Ideal for all outdoor activities from walking in the park to snowboarding down a mountain. Silicon wristbands are an excellent, cost-effective way to raise funds for your charity, team or of course to promote your brand or message. 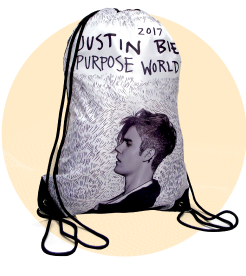 Our full colour drawstring bags are made from 190T polyester & have a great 330mm x 450mm branding area. Both sides of the bag can have a different design at no extra cost. 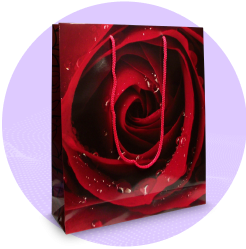 Our full-colour polyester tote bags are a fabulous addition to our bags range. As an alternative to our standard range of lanyards we also offer a range of environmentally friendly options. These materials are all made from either recycled or sustainable materials. We keep a sensible stock of wallets & card holders at our UK office. Can be supplied attached to lanyards if required. Our bespoke laminate bags are supplied as standard with 185gsm card and a choice of matte or gloss lamination. 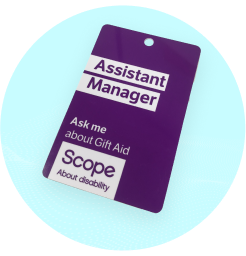 Our plastic laminate cards are made from 760 micron credit card material with full colour print to both sides as standard. The design can be different on each side at no additional cost. 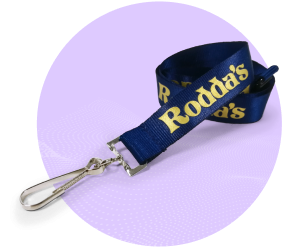 All of our bespoke lanyards are manufactured to order and built to spec. Most people go for a standard fitting and add a safety release but there are many more options to choose from! Flat Weave Nylon has a smooth surface allowing for more complex logo reproduction when compared to an equivalent flat polyester lanyard. The real silk content gives the lanyard vibrant colouration and a silky lustre. Flat polyester offers a larger print area than the tubular polyester, allowing more complex or just more prominent branding.